The paper discusses new opportunities to carry out research on physics education, specifically from a neurodidactical point of view . 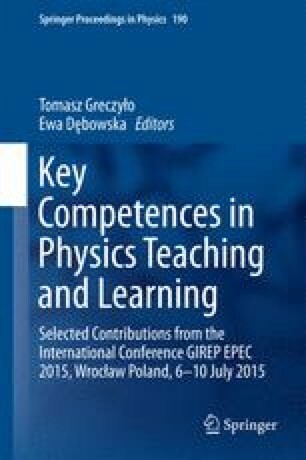 It shows the possible ways of applying new tools and technologies in didactics of physics. Emphasis was placed on analysing eyetracking as a research method. Examples chosen from an analysis of empirical research results are provided to illustrate the diagnostic possibilities of the tool as well as to point out their strengths and weaknesses. Eyetracking technology was used to examine the strategies and difficulties faced by high school students, university students, and scientists in the process of problem solving.